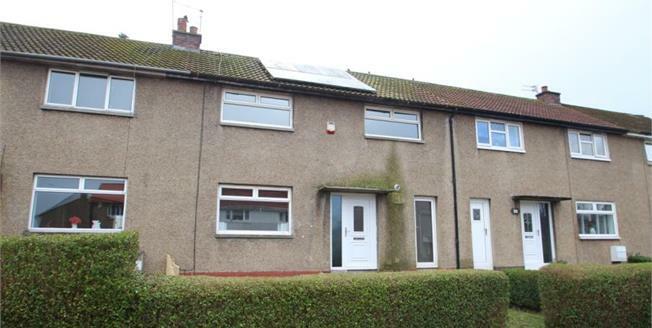 A generously proportioned mid terrace villa located within an ever popular Paisley locale. The property is situated in a quiet cul de sac and offers accommodation over two levels which is sure to appeal to a variety of discerning purchasers. The property comprises of a welcoming entrance hall with storage, leading into a spacious lounge/dining room and thereafter into a dining sized kitchen with an adjacent utility/cloakroom area. The upper level features three double bedrooms and a family bathroom. The specification includes double glazing, gas central heating, solar panels and generously sized garden grounds. The sought after setting allows easy access to local Paisley facilities with destinations further afield being accessed via both public transport and road routes. The area is also known for excellent schooling. Early viewing is highly recommended in order to fully appreciate both the accommodation and location on offer.